For most of us the Budget has passed unnoticed but unfortunately Minister O'Donoghue and his colleagues in the Department just cannot get the stamp duty changes sorted out. When the 4% jump was announced in the Budget, it was said to be effective from 11 October (Budget day). What about contracts which pre-dated? "Fear not - the Finance Bill will solve it" said the Minister. We waited, and waited. Deals were cancelled and prices have been chipped. Now, fully three weeks later, we get a Finance Bill which....solves nothing! Unfortunately the online stamping system operated by Revenue has not been updated to allow for any transitional contracts. That would just be too easy. Instead the Department have now said either (a) pay the full 6% and then claim a 4% refund when the Finance Act is passed (December) or (b) pay the 2% now and you won't get a stamp duty certificate! The real result - a complete mess. Will financed deals will be able to complete before the Finance Act? It seems unlikely. We will see how this settles down over the coming weeks but it looks like a disastrous roll out to me. All that we needed was a simple box-tick on the ROS system for your stamp duty filing. A cynic would say the Department are looking to land some 6% returns in their year end figures (and hope we forget about the refund statistics in January!). 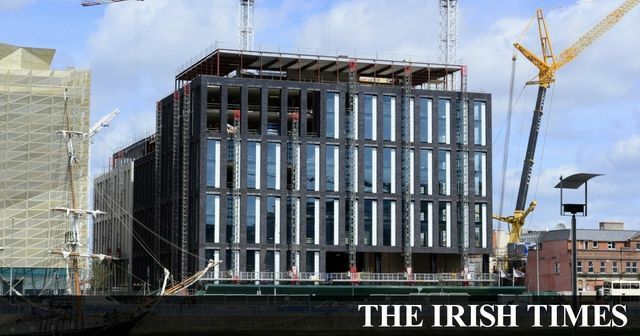 The Revenue Commissioners has clarified how commercial property buyers who agreed to buy a property before October 11th can avail of the old lower rate of stamp duty. Budget 2018 introduced a new, higher rate of stamp duty of 6 per cent; and, as noted in the Finance Bill 2017, published on October 19th, this new rate applies from the date of the budget, October 11th. However, for transactions where a contract was in place before this date, the lower rate of 2 per cent will apply provided that it is executed before January 1st, 2018. Now those qualifying for the lower rate, because their property acquisition had reached an advanced stage before the budget, can ensure they avail of this rate in one of two ways.